Republicans send mixed messages ahead of FCC net neutrality vote. Republicans may be suffering from a case of crossed wires. 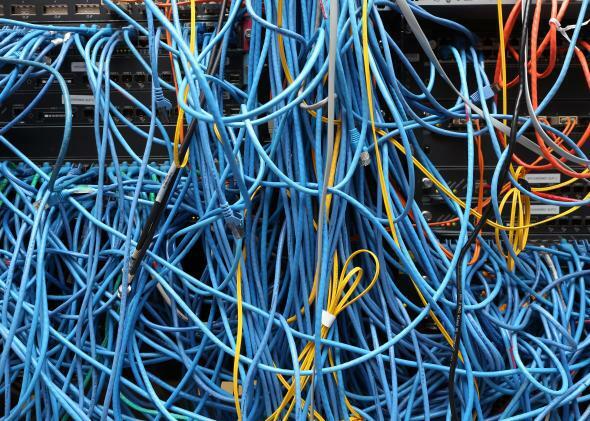 On Thursday, the FCC will vote on whether to treat Internet service as a utility. But ahead of this meeting, the Republican stance on net neutrality and Title II utility classification has become kind of muddied. Net neutrality isn’t a completely straightforward partisan issue, so there has always been some uncertainty about what the party line is exactly. Opposing government regulation of a huge industry (that has lots of lobbying money) makes sense for the Republicans, but it’s been hard to figure out the best tactic for defending this position when voters on both sides are getting fired up about freedom of information on the Internet. On Tuesday, the New York Times published an article headlined, “F.C.C. Net Neutrality Rules Clear Hurdle as Republicans Concede to Obama.” It outlined some potential sticking points for pro–net neutrality regulation, but basically concluded that Republicans wouldn’t stand in the way. The piece quoted Republican Sen. John Thune, the chairman of the Senate Commerce Committee, as saying, “We’re not going to get a signed bill that doesn’t have Democrats’ support. … This is an issue that needs to have bipartisan support.” And net neutrality advocates were shown doing a victory lap. Mozilla Director Dave Steer told the Times, “We’ve been outspent, outlobbied. We were going up against the second-biggest corporate lobby in D.C., and it looks like we’ve won.” Steer apparently doesn’t know how jinxing works. We are deeply disappointed in Chairman Wheeler’s decision. As Chairman Wheeler pushes forward with plans to regulate the Internet, he still refuses to directly answer growing concerns about how the rules were developed, how they are structured, and how they will stand up to judicial scrutiny. After hearing from over four million Americans on such an important topic to our economic and cultural future, it’s striking that when Congress seeks transparency, Chairman Wheeler opts against it. Perhaps Wheeler’s proposal doesn’t have the votes to pass, but it seems like Republicans are resigned to the idea that it does, even as they recapture their will to fight.